In Sweden nature is a serious matter. The country is mainly covered by woods and forests, lakes and green areas, and the population density is really negligible: about 22 inhabitants per square km. There also are big cities, like Gothenburg, for example, that after Stockholm is the second largest by population and extension. 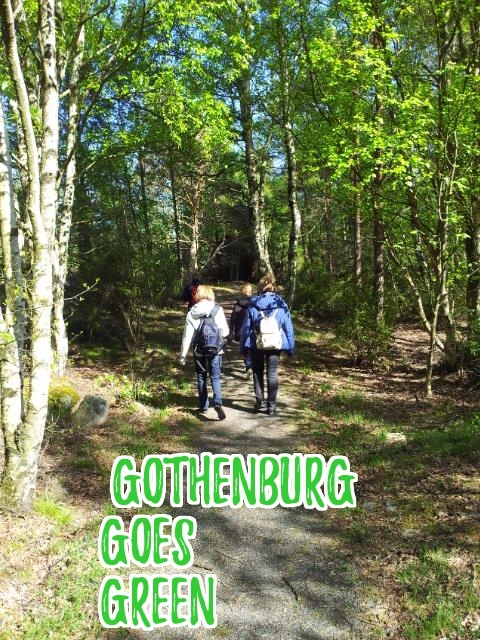 Even within cities, however, you can find a lot of green areas and Gothenburg by itself has more than 200 hectares of natural parkland and gardens: a green and active throbbing heart. Slottskogen, Botaniska Trädgården and Trädgårdsföreningen are the three main green areas of the city, the most central and well known by tourists. In all districts, then, there are smaller parks mostly known by locals: one of these, the Östra Kyrkogården was the one closest to my home during the period when I lived in the city. 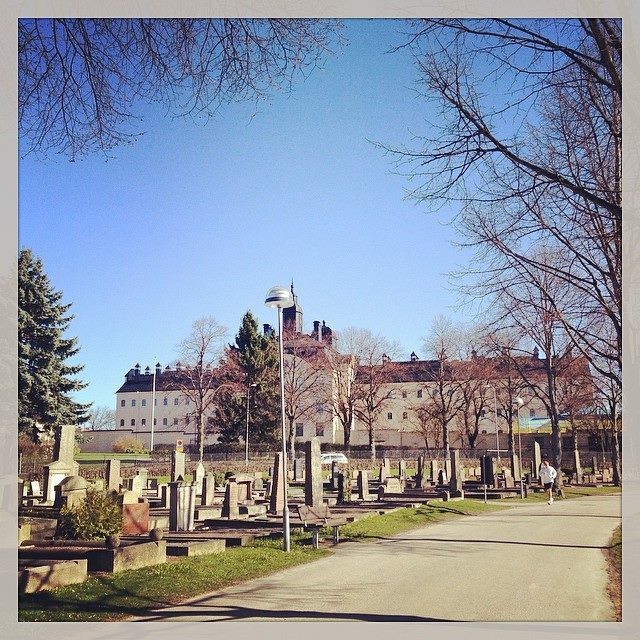 It ‘s basically a graveyard, but here it is normal to jog and stroll in a park among or aside tombstones. Slottskogen is the park where families from Gothenburg spend a lot of time outdoors: relax, practice sports and organize picnics with friends. Inside there is also a Zoo, with free admission, with activities organized for visitors of all ages. Slottskogen Zoo is one of the oldest in Sweden and most of the animals here are indigenous, those of Sweden and the other Nordic countries: elk, reindeer, deer, goats from Öland and ponies from Gotland , to name a few. The park is the perfect place for those who love outdoor sports, both in summer and in winter. There are both paved and unpaved trails for jogging, nordic walking, skating. It can also work as a team or recreational activities area, in fields among a grove and the other: in fact it is not rare to see groups of young people playing frisbee, volleyball or a football match. For children, then, it is the best: here there is one of the largest playgrounds with tools that stimulate new activities and tickle the imagination. The picnic area is what I prefer; on top of having areas on which hanging the blankets and tablecloths to eat the sandwiches brought from home, you can also use the equipment made available to everybody to whip up a barbecue: well organized and spacious grills, tables and benches wood, drinking fountains for rinsing are available to all not far from the playground for children. During summer the park hosts several evening events, such as concerts and music festivals: the most known is the Way Out West Music Festival held in August. To reach Slottskogen from the center, one of the more practical tram stops is Linnéplatsen. You can take trams 1, 2 or 6 and the bus 25 or 52. 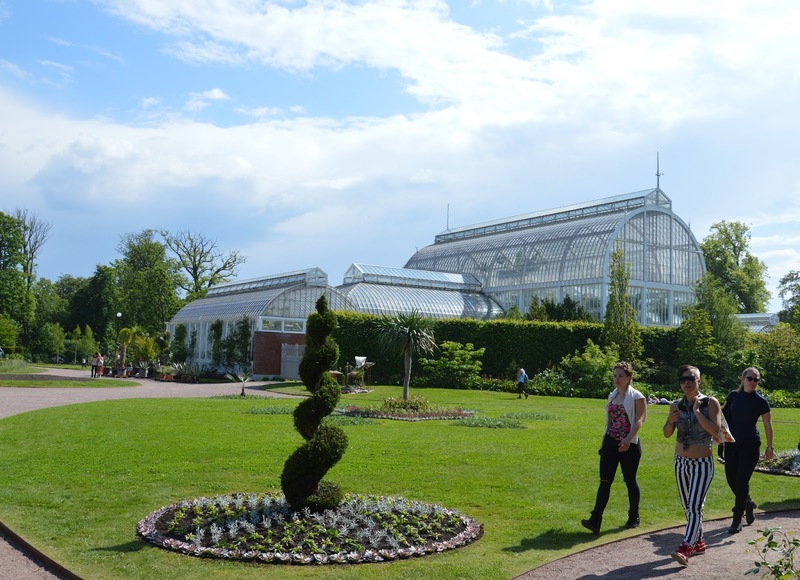 The Botaniska Trädagården [botanical garden] that is located in the south west compared to the city center, is my favorite park. It covers about 40 hectares and there you can walk through the well-tended paths among trees and bushes through different environments: from the pond to the corner of the rhododendrons, from the rock garden that encloses a majestic waterfall to the herb garden. In the Botanical Garden there are about 16,000 different species of plants and large greenhouses; a few dozen meters from the entrance you will find a wide variety of orchids, from the most common to the tropical and rare, as well as a very rare Toromiro tree, coming from Easter Islands. The garden of the bulbs contains one of the largest collections of bulbs in the world and the varieties preserved here range from the classic European Mediterranean bulbs up to those grown in dry climates: daffodili, tulips and iris are among the best known and admired. In spring and early summer, the garden is full of flowers of all kinds, and one is dazzled by the colors and intoxicated by the perfume. There is a very interesting area, the one called Wood Anemone Valley: the ground is almost entirely covered with petals, as in a real colored snowfall. About midway through the recommended route, you arrive in the area of ​​rhododendrons, where you can find species from all over the world, from Asia to North America and Europe; in early summer flowering gives different colors paths, from deep red to pink, from pale pink to white. The Botaniska Trädagården can be reached by tram 1, 2, 7 and 8 and the stop is named after it. Not to move too far from downtown, but to enjoy the tranquility and green, I often find myself walking to Trädgårdsföreningen, the Garden Society, which has one of its entrances on Kungsportsavenyn. It’s the ideal place for a morning walk or to spend some time in peace. This garden is one of the best preserved parks in Europe with a structure and a system created in the nineteenth century. The historic buildings and greenhouses, resting between well-kept lawns and carpets of exotic and native plants, make you imagine the golden era of horticulture. A beautiful arboretum and a rose garden with a remarkable collection of plants makes the park very interesting for botany enthusiasts and for those who love garden landscaping. Here often events and seminars are organized or even courses and exhibitions of plants and flowers. 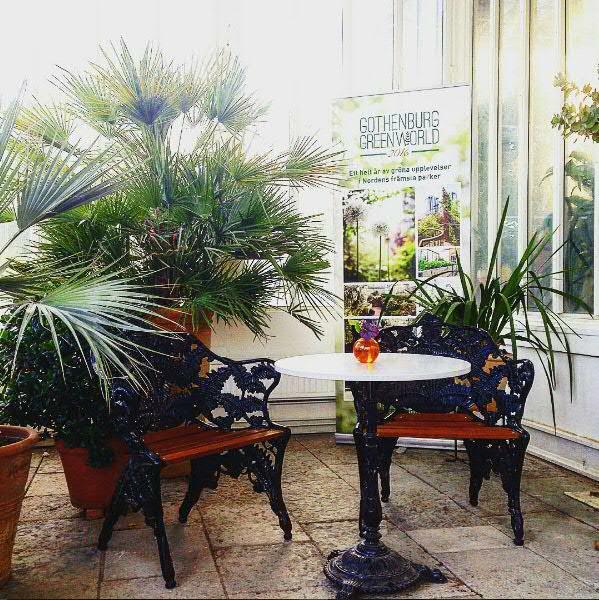 One of the two greenhouses, with a beautiful Art Nouveau style, contains a significant amount and variety of plants, mostly tropical, and a palm grove. Imagine how enjoyable can be entering here on cold winter days: the temperature is of course always constant, thus allowing you to enjoy a pleasant warmth even on cold days when the cold wind does not let up. Las Vegas, una città da vedere una volta nella vita! Well written Paola, I'm visualized myself having good time there with family and friends. Yes, it's a nice place to enjoy time with family! You should! Gotheburg is a wonderful city! I love visiting green houses! It's so nice to see all the gorgeous plants that would not be naturally outside in my area! Oh Sweden! I do admire the people and how much they care for their surroundings and environment. I wish all of us are like them. Those parks are beautiful! Gothenburg looks like place loaded with nature with so many gardens and parks. Jogging and strolling in a graveyard among the tombstones sounds quirky but then its probably now part of their life. Gothenburg seems so much in lap of nature, my kind of stroll around place. 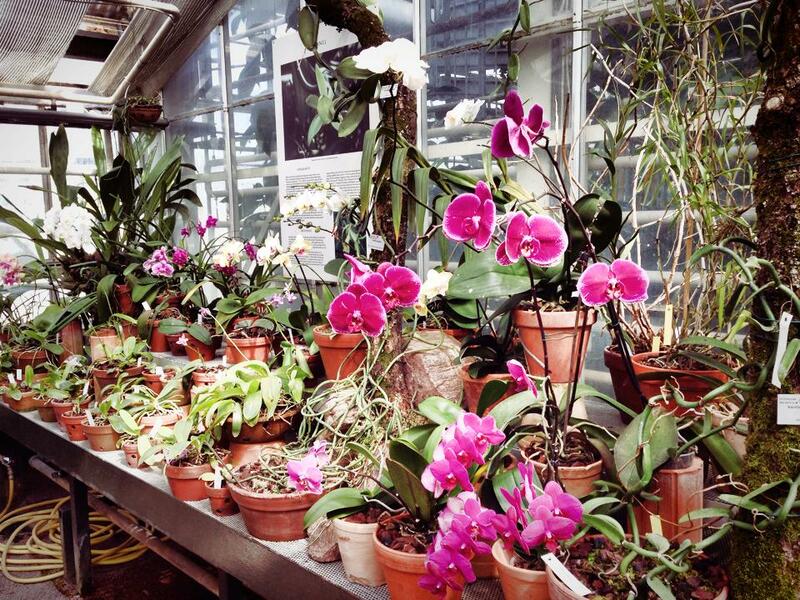 I definitely need to visit the botanic garden, the orchids look so beautiful. Everything looks incredibly lush and you've captured where to visit nicely! Gothenburg looks so beautiful and would definitely love to visit someday! The park is so refreshing and beautiful. It would be just so nice to sit here and see people having fun. It also, looks like a place where you can have fun with a camera. I love orchids. The only challenge of having them at home is it flowers once every 8-10 months. I love the colors and the vibrancy it brings along. I would love to spend some time in a place like this. You know take a nice walk in the afternoon and get somne great nature shots . Such a beautiful place to explore.Love the greenery and gardens. I would really much like to get there one day! So many places to visit! It sounds like you had a great time. This is such a happy post, about a place with all its priorities in place. I wish all the countries paid as much attention to environment! Thank you for this post; Sweden is on my list. I have a couple of friends from Gothenburg who keep telling me about the greenery of their city. And now in these pictures I see that for myself. Also it was quite nice to know that the community spends a lot of time on outdoor activities. I have visited Sweden before, but only Stockholm and Malmo. I do remember how beautiful and green the country is, with so many open air spaces for children to play. 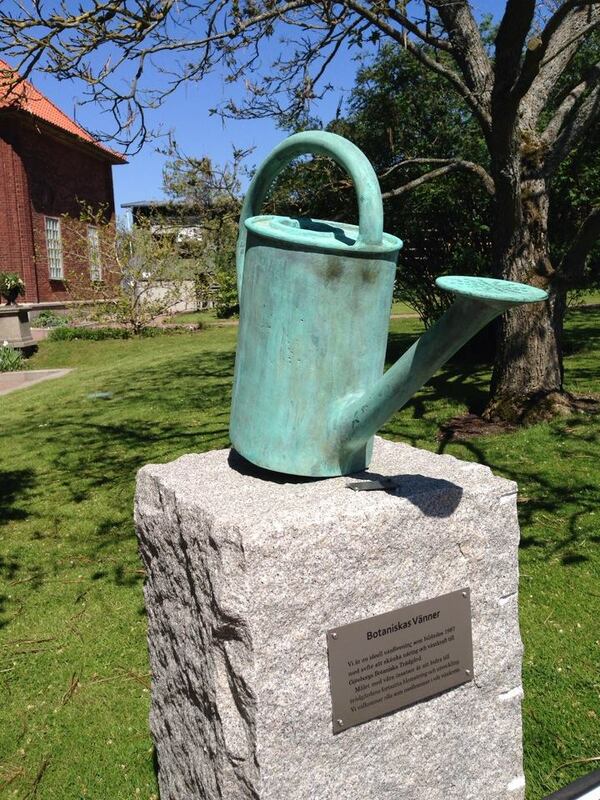 I also remember how much Swedish people like to have flowers around them. So beautiful! I have a feeling I'd be right at home in Sweden. I imagine the air is so fresh! Wow! The Botanical Garden blows my mind.. hard ot believe one place can have 16,000 different species of plants. Heck, it is hard to imagine that there ARE 16,000 different species of plants… Then again, I am a city boy and my knowledge of plants doesn't extend beyond what I can eat from the produce section at the super market. What a beautiful place! Your pictures are beautiful especially with all the plants. I am actually going to Gothenburg next summer, so I will keep these tips in mind for then. Nice blog. Would you also like to know more about outdoor learning?